Enjoyable and engaging practice for the revised 2018 Cambridge English: Young Learners (YLE). 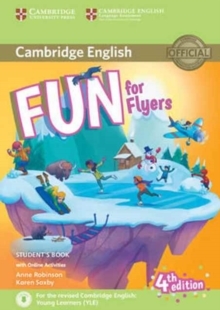 Storyfun Level 6 Student's Book provides full-colour preparation material for Cambridge English: Flyers. 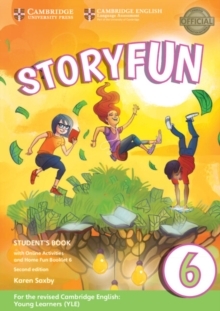 It contains eight fully-illustrated stories with accompanying activities for students to enjoy. 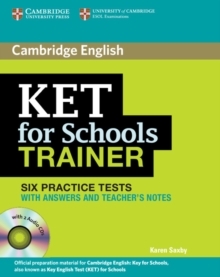 These include songs and exam-style questions that practise the grammar, vocabulary and skills needed at each level. Extra speaking practice and projects provide opportunities for extension beyond the units. The Student's Book now comes with a Home Fun Booklet which provides activities for students to complete at home, and allows parents to support learning. 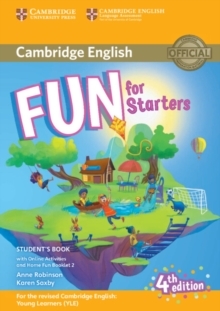 Fun Online Activities in the Cambridge Learning Management System (CLMS) are accessed via a code in the front of the book.